The Condor A350 is a motorcycle built in Switzerland by Condor-Werke AG for the Swiss military forces in 1973 to 1978. The motorcycle use a single-cylinder engine from the Ducati 350 Scrambler. Ducati's machine is very simple, it has two valve, air-cooled, and the bevel gear driven single overhead camshaft, cylinder head alloy, and has a cast iron liner. The total capacity of engine is 340.2 cc and depending on the configuration that is capable of spewing power of 8 hp to 16.6 hp. 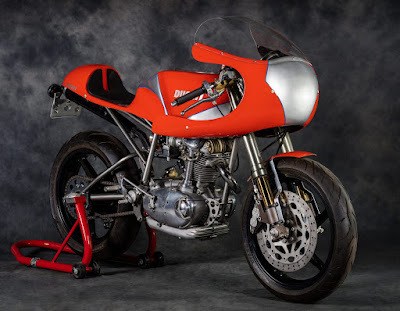 The Condor Racer custom bike shown on the pictures here, originally was a stock Swiss military motorcycle, but now recorded as the world's fastest Condor A350 motorcycle, and some part of its still using the original parts. 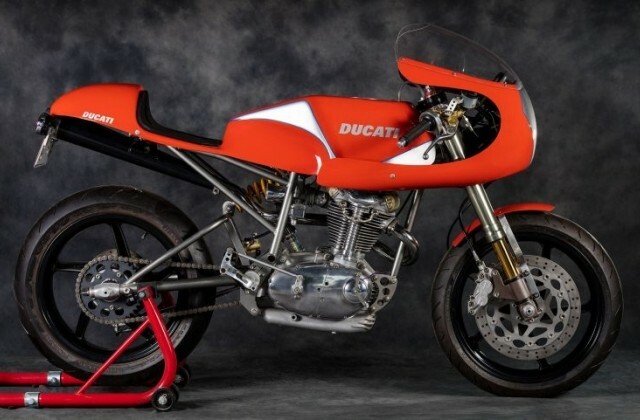 The motorcycle was built by a Ducati specialist builder named Tony Hannagan who is also the founder of Australia-based garage BevelTech Engineering. Tony has built many Ducati bikes in decades, he has the engineering background and always pay attention to the details of building a motorcycle. Tony has long had a motorcycle the Condor A350 at his farm, he and his friend bought one container after retiring from the military. After that time, it used for activities in the farm and long stored in warehouse, Tony decided to revive it. Started by dismantling the motorcycle as a whole, the original frame and all of the engine is disassembled and repaired. Head replaced to its better flow, the compression ratio is improved, adding a higher flow carburettor and alloy timing gear while the flywheel removed. Then made a new frame and fitted bespoke chrome-moly unit used on the machine increases the pressure and save the fuel back to the top of the tube. 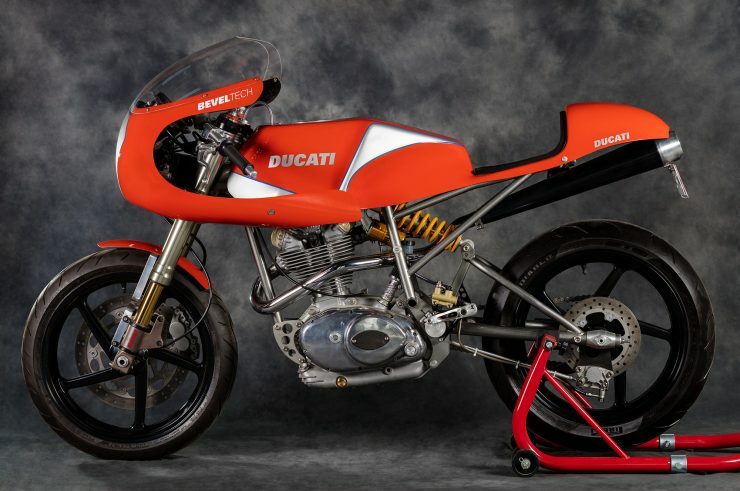 Frame combined with laser-cut engine mounting plate, wheels and brakes taken from the Aprilia RS125 and the fork used a Ducati 998 replica forks. The motorcycle body was designed with a 3:4 scaled version of NCR Classic design combined with an Aprilia seat. So that the motorcycle weighs about 98 kg is capable of spraying power up to 29 hp.